The medal was initially not going to be awarded to soldiers who served in the Gallipoli Campaign. Those soldiers, mostly New Zealanders and Australians, were to be awarded the Gallipoli Star instead. The 1914–15 Star was instituted in December 1918 and was awarded to officers and men of British and Imperial forces who served against the Central European Powers in any theatre of the Great War between 5 August 1914 and 31 December 1915. The period of eligibility was prior to the introduction of the Military Service Act 1916, which instituted conscription in Britain. No clasp or bar to the medal was approved. To be eligible for the award of the medal, a member must have served on the establishment of a unit in a theatre of war during the relevant dates of operations in that theatre. Excluded from eligibility for the medal, were all those who had already qualified for the award of the 1914 Star, those who qualified for the award of the Africa General Service Medal and those who qualified for the award of the Khedive's Sudan Medal of 1910. Also initially excluded were those who were eligible for the proposed Gallipoli Star, which was to have been awarded almost exclusively to New Zealanders and Australians in the Australian and New Zealand Army Corps (ANZAC) who served in the Gallipoli Campaign from 25 April 1915 to 9 January 1916. Following protests by British parliamentarians and news media, the Gallipoli Star was never awarded and the ANZAC veterans were made eligible for the 1914–15 Star instead. 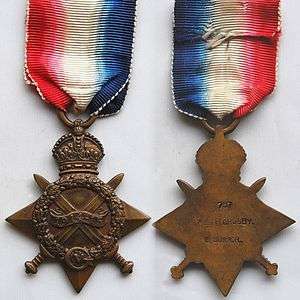 Like the 1914 Star, the 1914–15 Star was never awarded singly and recipients of this medal were also awarded the British War Medal and Victory Medal, but only one of the two Stars could be awarded to the same person. The three medals were sometimes irreverently referred to as Pip, Squeak and Wilfred after three comic strip characters, a dog, a penguin and a rabbit, which were popular in the immediate post-war era. Pip represented either of the two Stars, Squeak represented the British War Medal and Wilfred represented the Victory Medal. 283,500 to the Royal Navy. 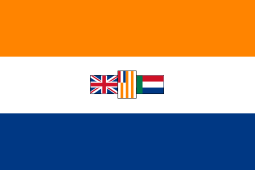 With effect from 6 April 1952, when a new South African set of decorations and medals was instituted to replace the British awards used to date, the older British decorations and medals applicable to South Africa continued to be worn in the same order of precedence but, with the exception of the Victoria Cross, took precedence after all South African orders, decorations and medals awarded to South Africans on or after that date. 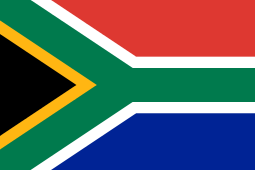 Of the official British campaign medals which were applicable to South Africans, the 1914–15 Star takes precedence as shown. Preceded by the Natal Native Rebellion Medal. Succeeded by the British War Medal. The medal is a four-pointed star of bright bronze, ensigned with a crown, with a height of 50 millimetres (62 millimetres with the ring suspension included) and a width of 44 millimetres. The medal and suspension assembly was struck in one piece. The obverse has two crossed gladii (swords) with their blades upwards, the points and grips of which form what might appear to be four additional points to the star. The swords are overlaid by a wreath of oak leaves, with the Royal Cypher of King George V at the base of the wreath and an overlaying central scroll inscribed "1914–15". The reverse is plain and is impressed with the recipient's number, rank and name. The ribbon is 32 millimetres wide and has the red, white and blue colours of the flag of the United Kingdom in shaded and watered bands. The same ribbon was used for the 1914 Star. 1 2 3 4 5 6 7 "The King's Own Royal Regiment Museum, Lancaster – 1914–1915 Star (5th Aug 1914 – 31 Dec 1915)". Retrieved 27 March 2015. 1 2 "NZDF Medals - The 1914 - 15 Star". medals.nzdf.mil.nz. Retrieved 2016-04-30. ↑ "Pip, Squeak and Wilfred". The Long, Long Trail. Archived from the original on 27 February 2008. Retrieved 26 June 2008.